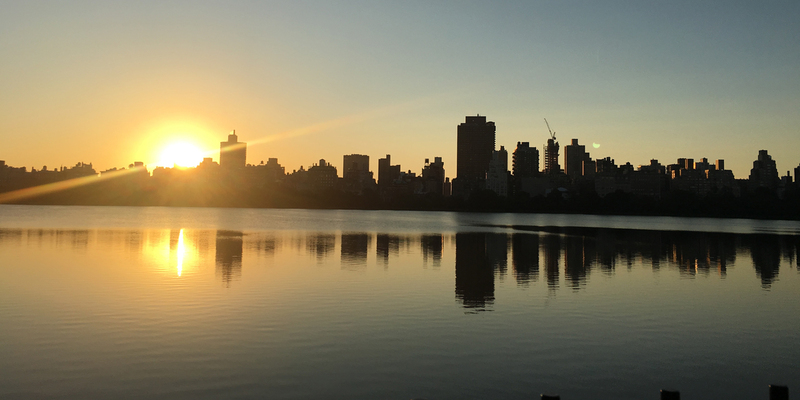 Central Park might be the biggest green in Manhattan, but with its 843 acres / 3.41 km2 it is actually only number 5 in New York (if you consider all boroughs). The biggest one would be Pelham Bay Park in the Bronx, with 2.765 acres / 11.19km2 a good three times the size of Central Park. 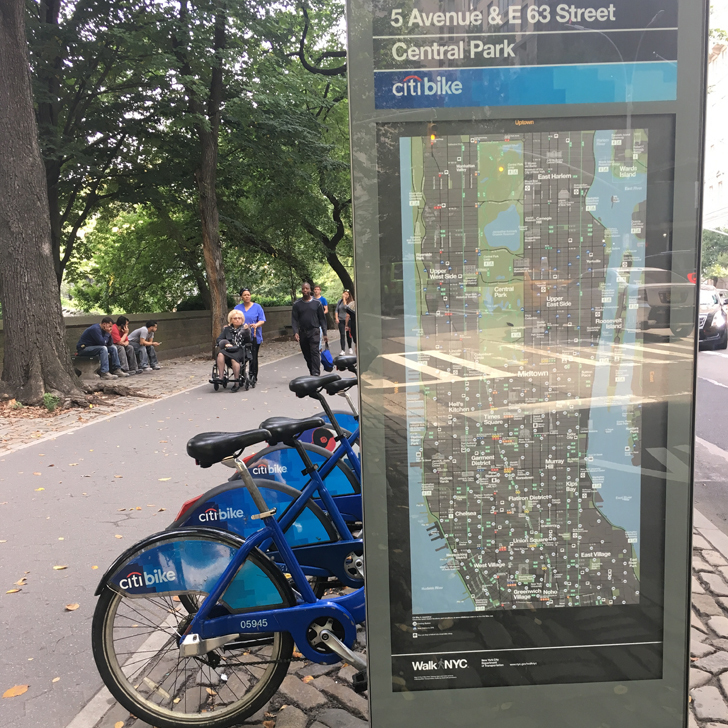 Central Park spans 50 streets top to bottom (from 59th Street in the south to 110th street in the north) and 4 avenues left across (from 5th Avenue to 8th Avenue). 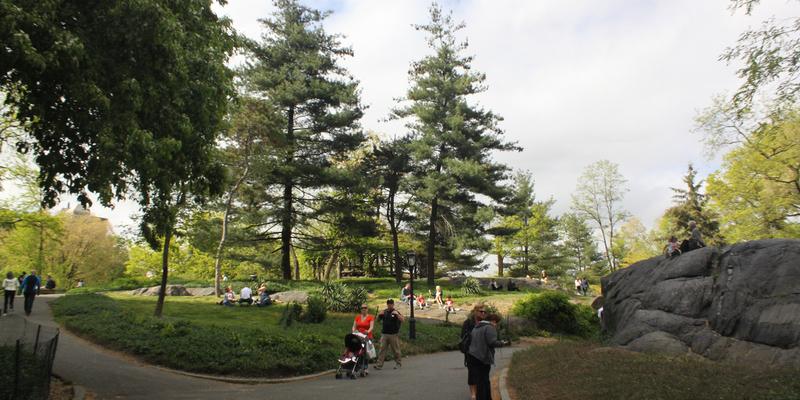 So what is there to do and see in Central Park? 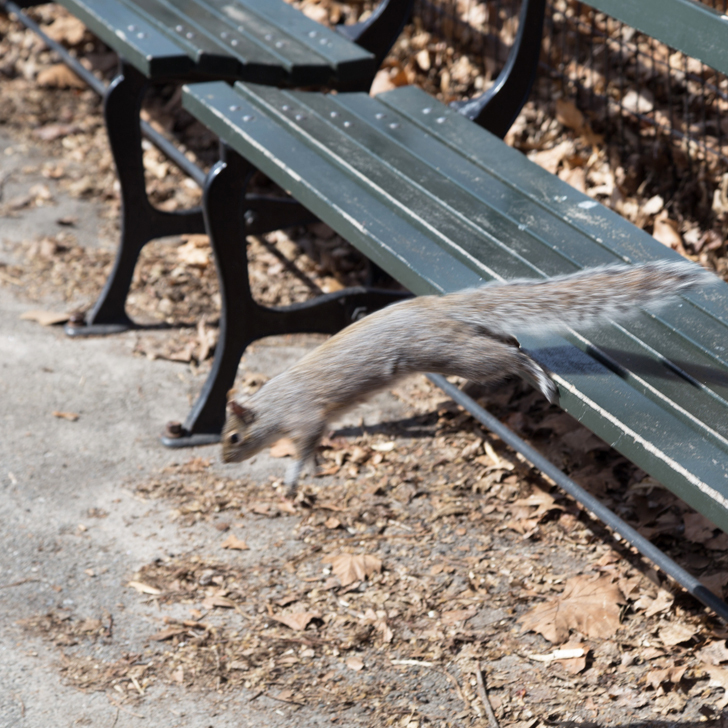 OK, this would probably be the obvious choice when you consider what to do in Central Park. 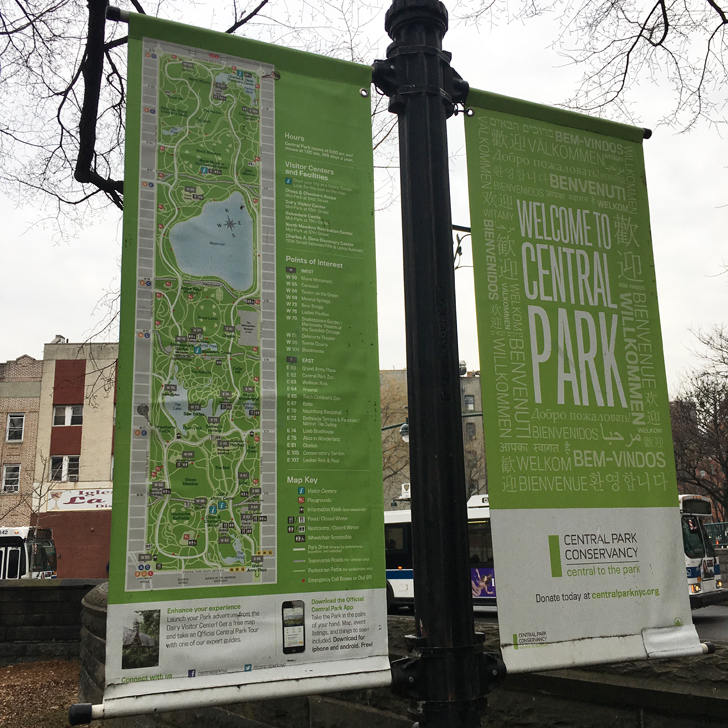 Central Park offers an array of walking tracks, different sceneries from bedrock to lakes and meadows and beautiful views of the city. 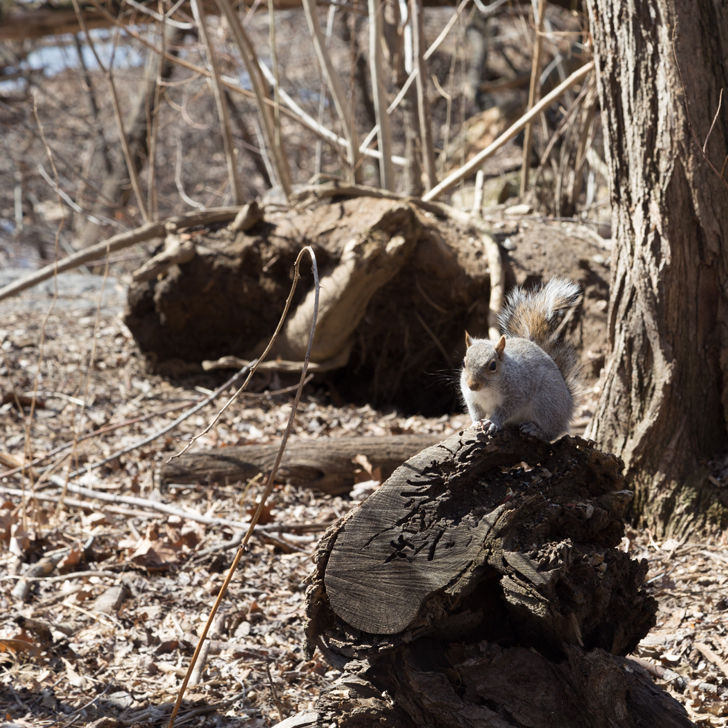 Yes there is a whole zoo within Central Park. You might have seen it in some films (I mean who didn’t fall in love with the penguins in ‘Madagascar’), so why not go and visit them for real (not sure they do quite as many tricks though). Tickets are $14 / adults and $9 / children. 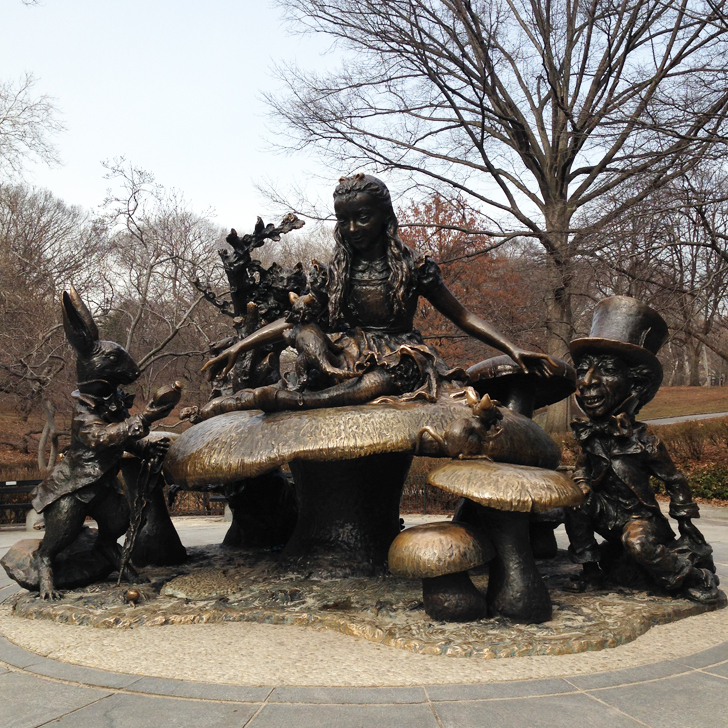 Located near East 74th Street you can find the magnificent Alice in Wonderland statue. Alice sitting on a giant mushroom surrounded by all the lovable characters, the Cheshire cat, Mad Hatter, the mice. 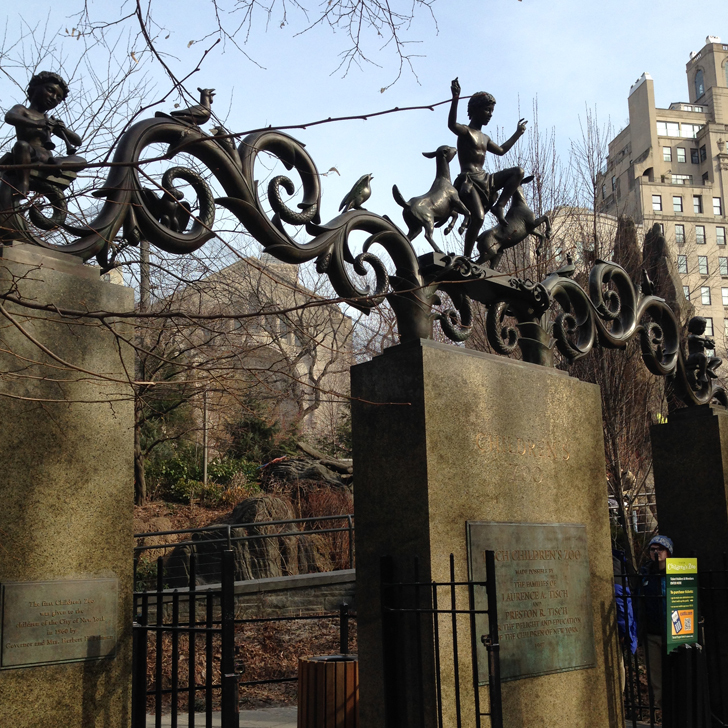 Located on the south part of the park, near East 65th Street you will find a vintage carousel, installed in 1952 (this is the fourth carousel at this site, the first one was actually installed in the 1870s). Weather permitted it is open 7 days a week and a ride will cost you $3.25 (cash only). Located at the edge of Central Park on Fifth Avenue (between 80th and 84th Street) the Met is the largest art museum in the US with more than 2 million exhibits. So you might want to set aside a bit of time to explore it. Tickets are $25 / adults, $12 for students, but the tickets are valid for 3 consecutive days and for all three Met locations (so not ‘just’ this one, but also ‘The Cloisters’ in Upper Manhattan and the ‘Met Breuer’ on Madison Avenue). And if the art collection isn’t enough to lure you in, don’t forget to also admire the architecture itself. The Great Hall is simply stunning and from the roof garden you get great views of Central Park and the Manhattan skyline. 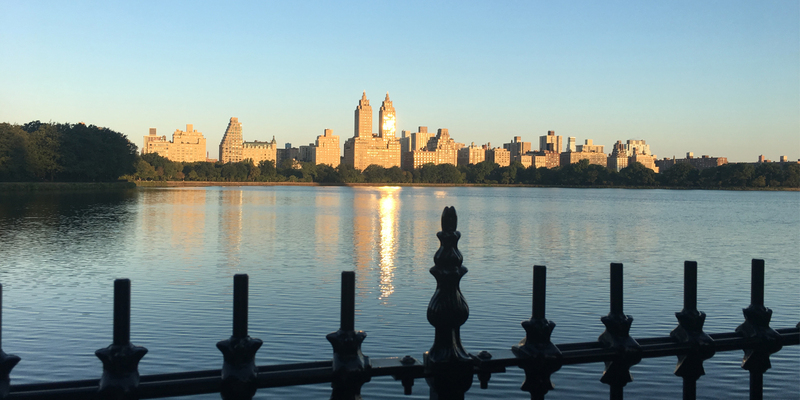 In the upper part of Central Park, between the through roads at 85th Street and 97th Street sits the large ‘Jacqueline Kennedy Onassis Reservoir’ which is a very popular running spot thanks to a convenient track around the reservoir. Make sure you follow the one-way system and run counter clockwise, otherwise your fellow runners might give you the evil eye. Doing one round is just under 3km, so even an inexperienced runner like me can complete a round (and if you can’t, just walk the rest). 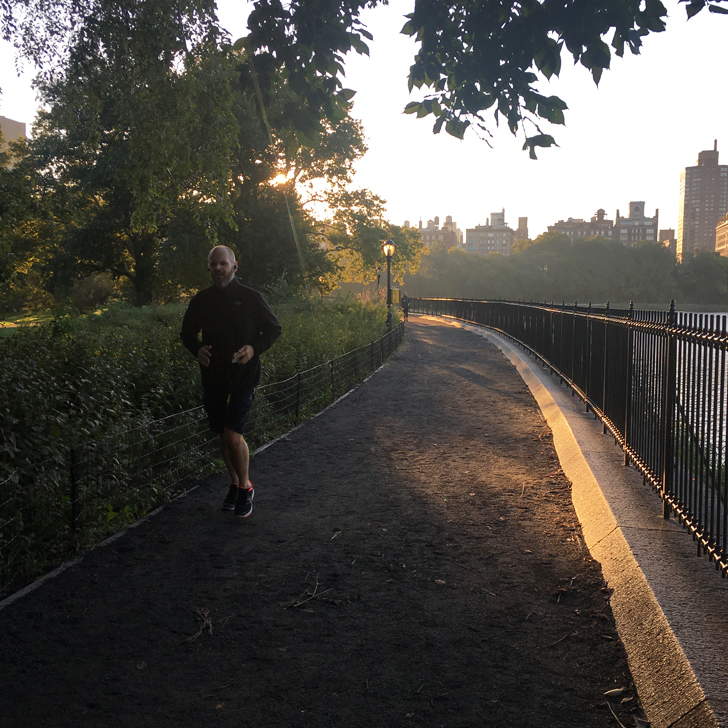 Go early in the morning and you are rewarded with a beautiful view of the Manhattan skyline at sunrise. 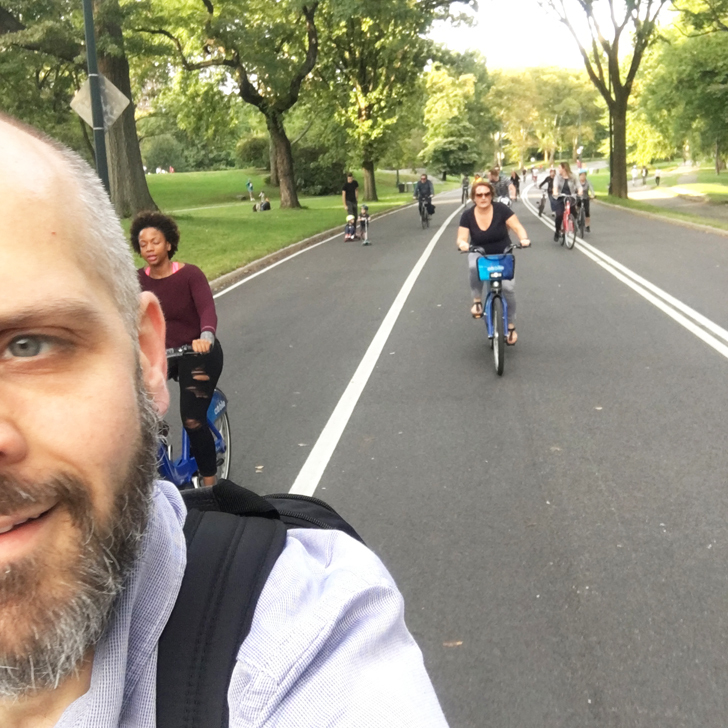 As many major cities nowadays, New York runs a city bike rental scheme. 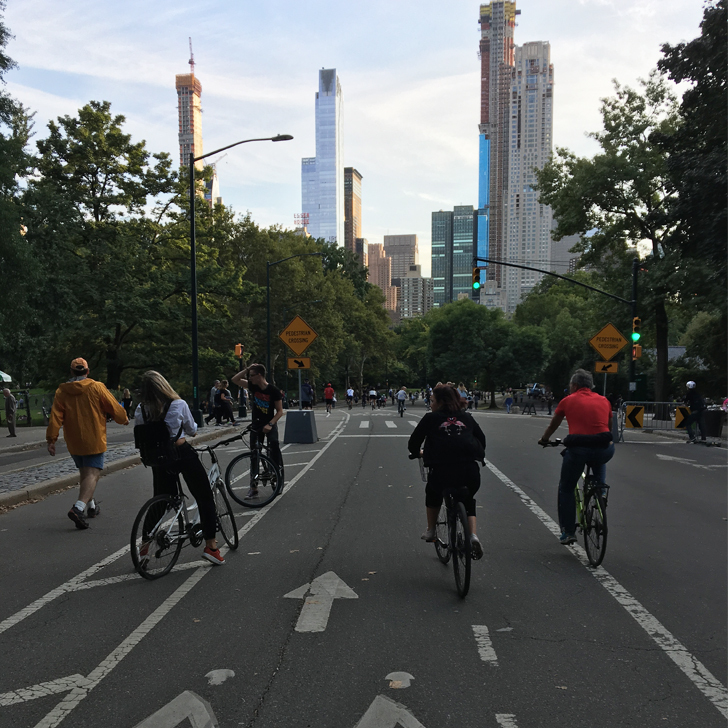 And whilst I would not recommend renting and riding a bike through the city if you are an inexperienced rider, taking it through Central Park is fairly save. Well saying that, it is also fairly hilly, so be prepared for some heavy pedalling (not helped by the fact that the rental bikes weigh a ton). Or be cheeky and rent an e-bike instead. Rental charge is $12 / day and the rides are for free, as long as you limit them to less than 30 minutes per tour (so take the bike for a ride, return it within 30 minutes, take out the next one and so on). No need to sign up beforehand, all you need is your credit card. If you are more into cycling, there are other rental schemes that allow you to rent ‘proper’ bikes for a few hours. Although this would be a little more expensive. This is one for the winter months only. The rink is open from approximately end of October until March/April, depending on the weather. 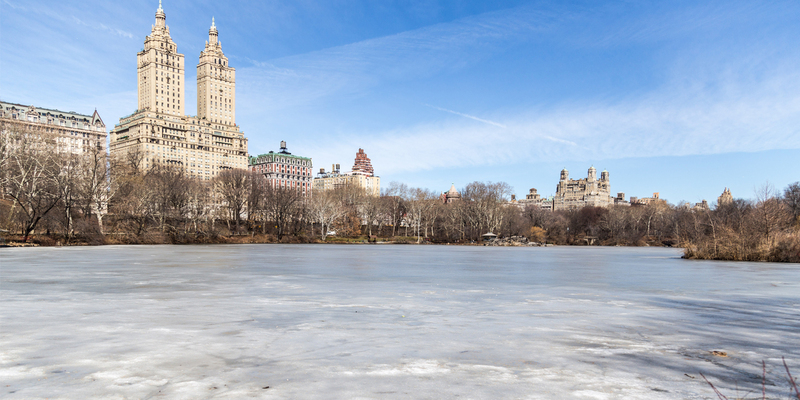 It is located in the southeast corner of Central Park, just above the pond. Tickets are $12 / adults Monday to Thursday, $19 / adult Friday to Sunday. Children are $6 any day. Please note that this one is cash only, so ensure you carry enough cash. And if you visit in summer, don’t despair. You might not be able to go ice-skating, but you can visit the Victorian Gardens instead, a traditional style amusement park. 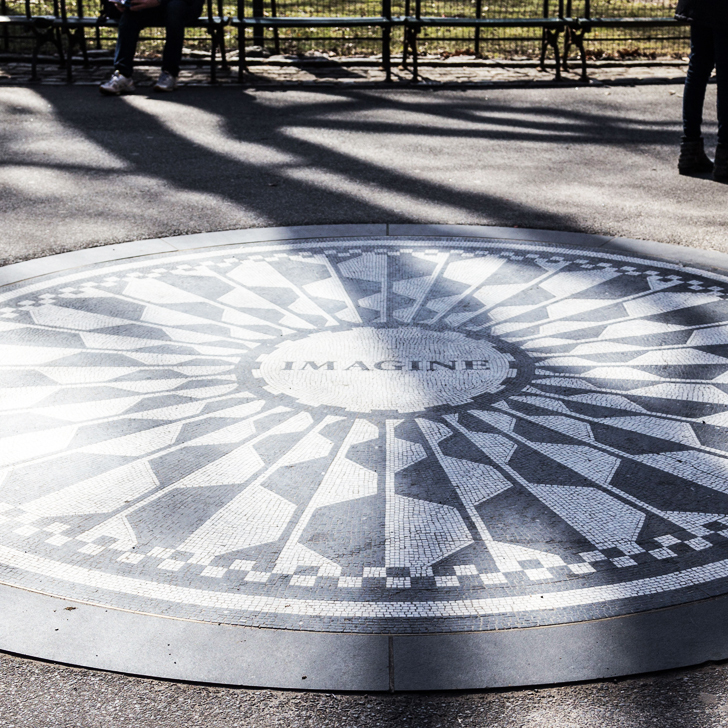 Named after the Beatles song and located just opposite the Dakota Building where he lived and died (West 72nd Street), this garden is dedicated to John Lennon. Visit the garden and see the Imagine mosaic. If you are lucky, you might come across musicians giving an impromptu slamming session. Visit the Loeb Boathouse and rent a rowing boat for an hour ($15 plus $20 deposit, each boat holds up to 4 people) and see the park from a different angle. And if rowing isn’t your thing, you can hire a Venetian style gondola instead (including gondolier of course), $45 for half an hour for up to 6 people. If you approach Central Park from the south side (which would be the most obvious one for any tourist), chances are you will come right across a large queue of horse-drawn carriages. Yes you can take a tour if you fancy, but I wouldn’t recommend it. As I have already stated in my post ‘Rookie Mistakes in NYC’ we’ve done the short tour during our honeymoon in New York and what was meant to be such a romantic thing to do (well they do sell it well in all the movies) turned out to be a big waste of money. At the time we paid $50 for half an hour, nowadays prices start at $75 for 25 mins. So here you have it. 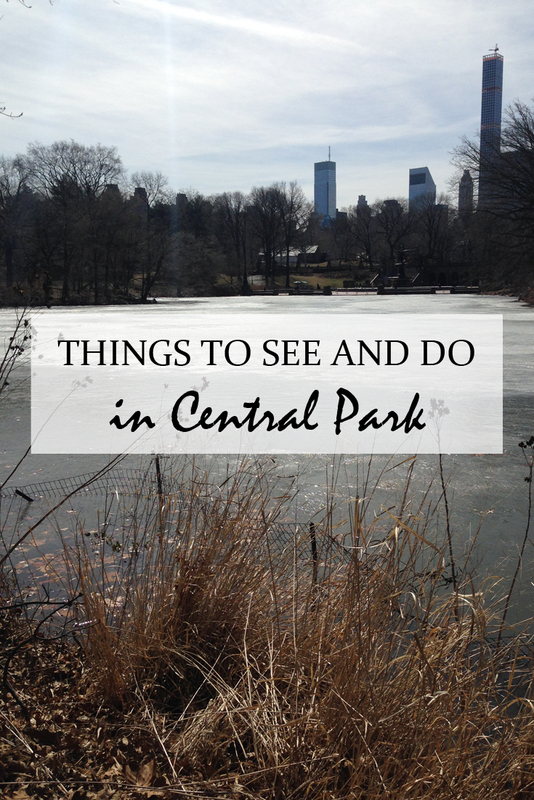 10 amazing things to see and do in Central Park plus 1 you might not waste your money on. You can spend hours and hours here and Central Park is worth a visit in any season. 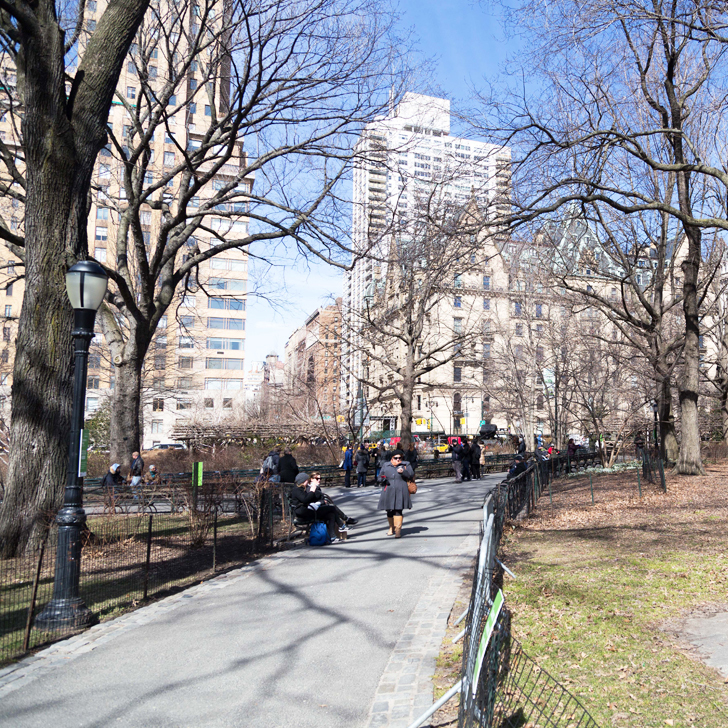 Tell me, what is your favourite thing to do in Central Park? I love Central Park! My favorite thing would be to picnic in Sheep Meadow. 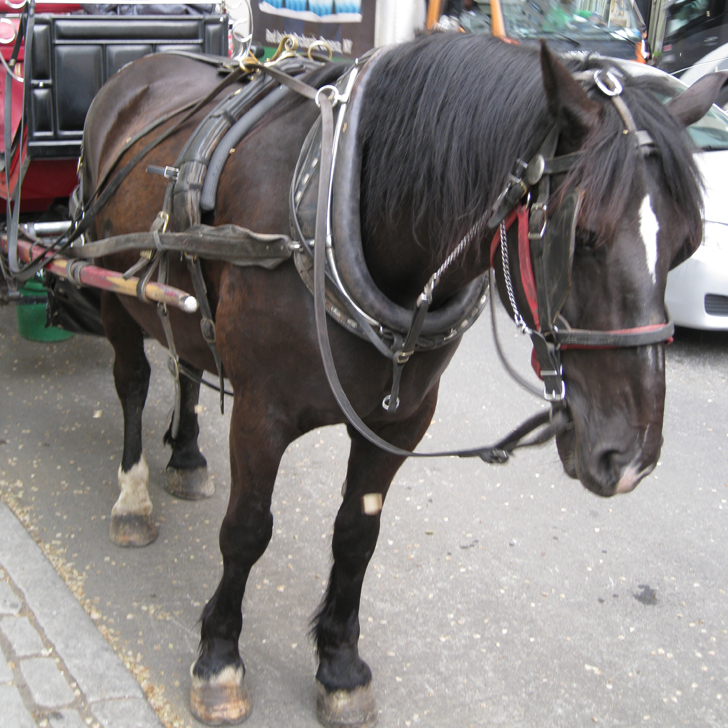 You are right about not doing the horse-carriage. Not only is it a rip-off but it’s not good for the horses. A few have freaked out and run into the traffic and died. That´s perfect! I will head to NYC in the ned of this month and I still looking for ideas pf what to see. Central Park is number one on my list. I hope for a bit fall foliage. Hopefully, I´ll be lucky! Enjoy. Weather earlier this week was still warm and sunny, but the leaves are slowly changing. So yes, hope you’ll get to see some foliage. Central Park sure is worth a visit every single time and regardless the season. But no shortage of things to do in NYC, so have an amazing time. Is it your first visit? I have never been to New York and I knew Central Park was big, but never imagined that it is SO big! You can definitely spend one or even two days just visiting and doing all the activities in it. Yes you can easily spend the whole day there. Or split it down into manageable chunks and go there a bit more often. If the weather is nice, you can combine it with a nice picnic as well. I love Central Park. I’ve walked in the park and I’ve visited the Metropolitan Museum of Art. I also ate in the restaurant (which I forget the name – something on the green- I think). Next time I’ll visit the zoo. I’d also like to plan being there during the blue hour to take some photos. I love Central Park! I’ve been there twice but now that I’ve read your post I realize I have barely scratched the surface. We’ll keep your suggestions in mind for next time I go to New York. Central Park is huge. I really want to explore it properly one day. Hiring a bike sounds like a great idea! I love Central Park, it’s such a great escape from the city without having to go far. Thanks for your list of ideas!